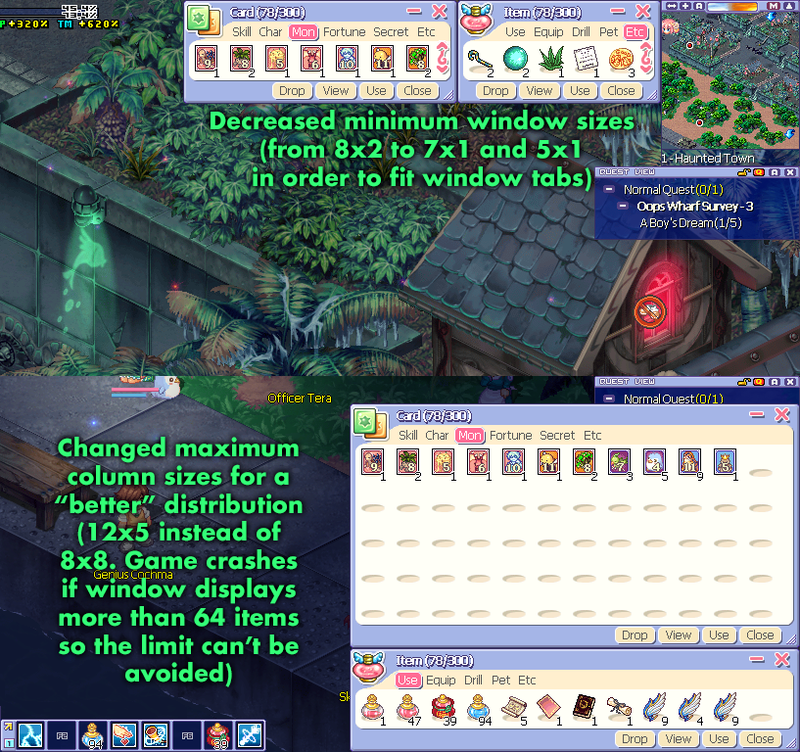 Downloadable reconfigured settings files for item and cards window displaying. Check the attached screenshot for more details. Extract ZIP contents to your Trickster installation folder. You will need to confirm the files overwriting. Restart the game if it's already running for the changes to take effect. There's the unfortunate need to do this after every update given the files get downloaded again then.